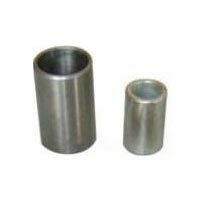 M. C. Tools also offers long lasting and cost effective hardened & ground Spacers. We design and develop these Spacers using high quality raw materials such as EN-31 and EN-24.Â Our Spacers are known for excellent quality and fine finish. These specialized spacers are highly appreciated and valued by our customers as these are suitable for steel tube industry. Further, we make sure to deliver these Spacers are delivered promptly to ensure limited downtime.